I used to love Netflix. The scope and range of their offerings far surpassed the site's shortcomings, which included an inability to filter out stuff I wasn't interested in. But that was back when one rented discs. I still do rent discs, and consider that the only good part of Netflix in 2015. But the streaming is the focus of the business, so one has to deal with it. Here we are in late 2015, and Netflix continues to race towards whatever it is it believes it needs to be racing towards. All I know, is it is racing away from me. How about you? Are the streamable offerings on Netflix relevant to you? The majority? I bet not. 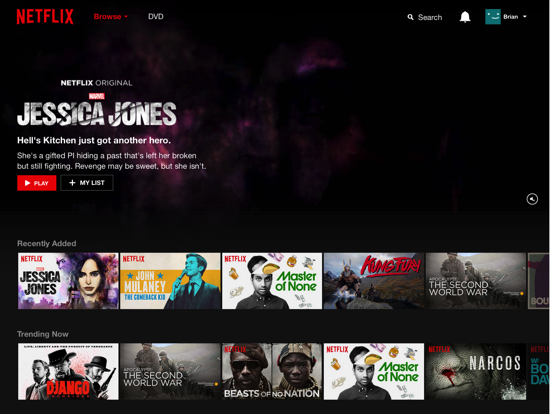 The level of desperation at Netflix can be seen in their wave of site redesigns over the past year or two that continue to attempt to conceal the lack of content available for streaming. There's such a dearth of material available, it would be screamingly obvious to customers, so they attempt to conceal that by a lot of cheap content lacking much merit, and by creating their own content like House of Cards. Some of Netflix's content is okay. Most is about as memorable as the movie that just finished five minutes ago on Syfy but you already can't recall what it was about. What I have wanted for 13 years, ever since joining Netflix, is the ability to simply tell Netflix what I do NOT want to see. Ever. As in, don't even suggest it to me. But they are afraid to do that, is my guess. Because if they did, in 2015, the result would be nearly-empty or entirely-empty web pages on Netflix's site. A company like Netflix is too afraid to go down that path. Which is a shame. Because I would LOVE it. If Netflix went down this path, it would indeed mean, over time, that more things would be saved as "I don't want to see that" than Netflix is able to add to their streaming collection, with the result being very little to nothing available to stream. But would that really be so bad? Seriously. People celebrate and even brag on Twitter about achieving "zero inbox." Why not "zero Netflix"? Take another look at that Recently Added screenshot above. There is no ability for the user to tell Netflix the following: "I don't ever want to see 'This isn't Funny' nor do I ever want to see 'China's Forbidden City', nor do I ever want to see 'Yukia Yuna is a Hero', nor do I want to see . . . " well, you get the idea. I would go through every one of these utterly crap TV shows or made-for-Netflix movies and say NO to Netflix. Then the next time I visited this page, the ONLY things I should see are new things, and things I did not indicate "I don't ever want to see this" on. 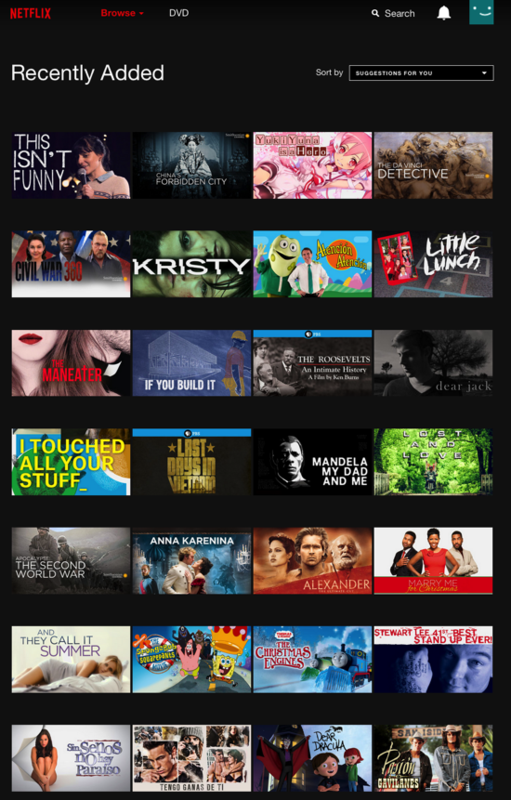 I call this extremely-filtered version of Netflix "Notflix." Because it knows what I do NOT want to see. Which is the vast majority of swill that passes for content these days on the service. 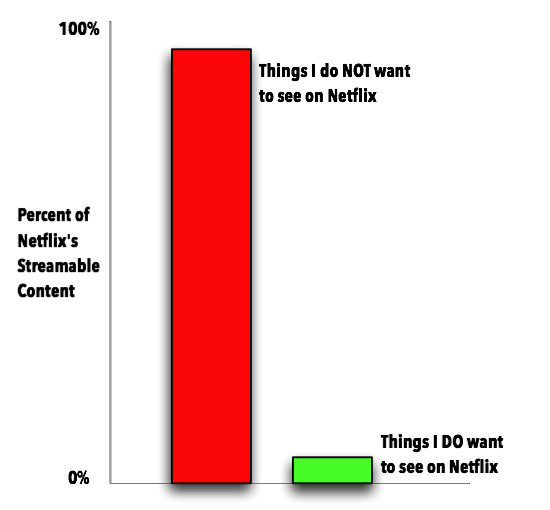 But the great thing about Notflix is how easy it would be to keep an eye on. When new stuff appears, as in really new, stuff I don't know about yet, I can easily see that, and not have to slog through all the crap -- face it, it's filler -- that Netflix stuffs their meagre offerings with so that they at least look like more than you can count at first glance. Funny how Netflix keeps content in the "Recently Added" bin for months, possibly years on end. Seriously: there's junk there that I have seen for months on end, still being passed of as "Recently Added". It's a pain to have to shovel through that stuff either on the Netflix website, one of the Netflix apps, or the Netflix thing on AppleTV. It's all the same: stuffed to the gills with filler. A Notflix service would let me quickly indicate "I don't ever want to see this, stop showing it to me, period" to any content. The list of such content would grow large quickly. THAT IS OKAY. What would be left would be a very small set of offerings. THAT TOO IS OKAY. Really, Netflix, that would be perfectly fine. Achieving "Zero Netflix" would be a good thing. Years ago I asked Netflix to add the ability to tell the service to simply HIDE forever certain genres I never want to see, never will see, period: kids content, sports, anime, faith and spirituality, zombie crap, Marvel comic book crap, all kinds of genres. It is still not possible to do that. A Notflix service would of course offer this ability, so that entire swaths of new incoming content would be auto-hidden from customers who already indicated to hide it. I can see the day I give up on Netflix. If you look at that ever-growing array of streamable offerings on AppleTV, Netflix is just another box. There's really nothing great there, nor is the brand any different than the other array of brands on the long scrolling AppleTV menu. Once again, Hollywood likes to imagine itself as a set of branded silos, believing consumers like silos. We don't. We never bought record albums based on the label. 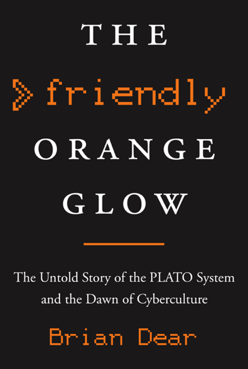 We don't buy books based on the publisher. We don't go to movies distributed only by Sony or Universal. These are Hollywood fictions. And it's no different with streamable content. I'll continue to rent blu-rays from Netflix as long as it makes financial sense. Even that is questionable. But for streaming? Netflix is increasingly just not worth the trouble.